Steven Soderbergh’s Panama Papers movie has found its backer. 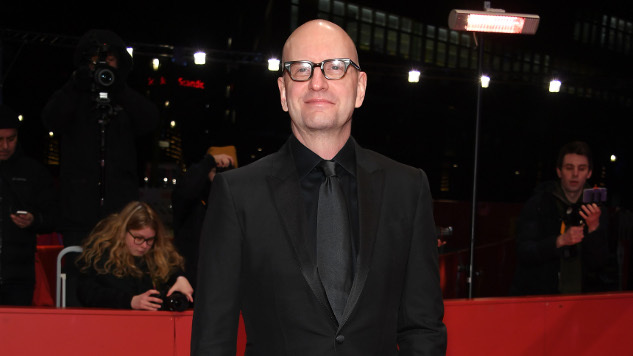 Netflix has committed to finance and release Soderbergh’s The Laundromat, a drama about the leak that implicated some of the world’s most influential people with evading taxes through illegal offshore schemes, per Deadline. Based on Jake Bernstein’s book Secrecy World: Inside the Panama Papers Investigation of Illicit Money Networks and the Global Elite, the movie will follow the investigation that led the bombshell 2015 leak of the Panama Papers, which exposed millions of documents that Panamanian law firm Mossack Fonseca had kept secret about its wealthy clients’ financial dealings. World leaders like former U.K. Prime Minister David Cameron and Iceland Prime Minister Sigmundur Gunnlaugsson were implicated in the leaks, as well as future U.S. President Donald Trump, and stars including Pedro Almodovar, Jackie Chan and Emma Watson. Bernstein was part of the team who formed the International Consortium of Investigative Journalists, which broke the story and posted the full leak on its website. Soderbergh will direct from a script by Scott Z. Burns, who will produce with Lawrence Grey, Gregory Jacobs and Michael Sugar. The star-studded cast of The Laundromat includes Gary Oldman, Meryl Streep, Antonio Banderas and now David Schwimmer. Schwimmer will play Matthew Quirk, an attorney who—spoiler alert—commits suicide after getting caught up in a tricky liability situation tied to one of the shell companies implicated in the leaks. Will Forte and Logan Lucky star Riley Keough are also in talks to join the project. Soderbergh was set to produce and possibly direct a movie about the Panama Papers as early as 2016, just a year after the leaks, and the project is now confirmed to have a home on Netflix. Soderbergh has championed nontraditional filming and distribution strategies throughout his career, and also has been also one of the earliest major filmmakers to bypass Hollywood in favor of coming to streaming giant Netflix with a project of this scale. Soderbergh’s most recent theatrical release, Unsane, was shot entirely on an iPhone camera, as was the forthcoming basketball drama High Flying Bird, his first project for Netflix. Soderbergh has even said the iPhone camera has made him leave behind digital cameras altogether. Mosaic, his “television series” for HBO from earlier this year, was also released as an interactive app that allowed viewers to explore the show from multiple perspectives. Soderbergh’s forthcoming The Laundromat joins a small but growing list of Netflix originals by major directors, which now includes the Coen Brothers’ soon-arriving anthology film The Ballad of Buster Scruggs, Paul Greengrass’ 22 July, Alfonso Cuaron’s Roma and Martin Scorsese’s The Irishman.